To celebrate Scotland’s year of Food and Drink 2015, we have launched our own Isle of Rona aprons. Stylish, chic (! 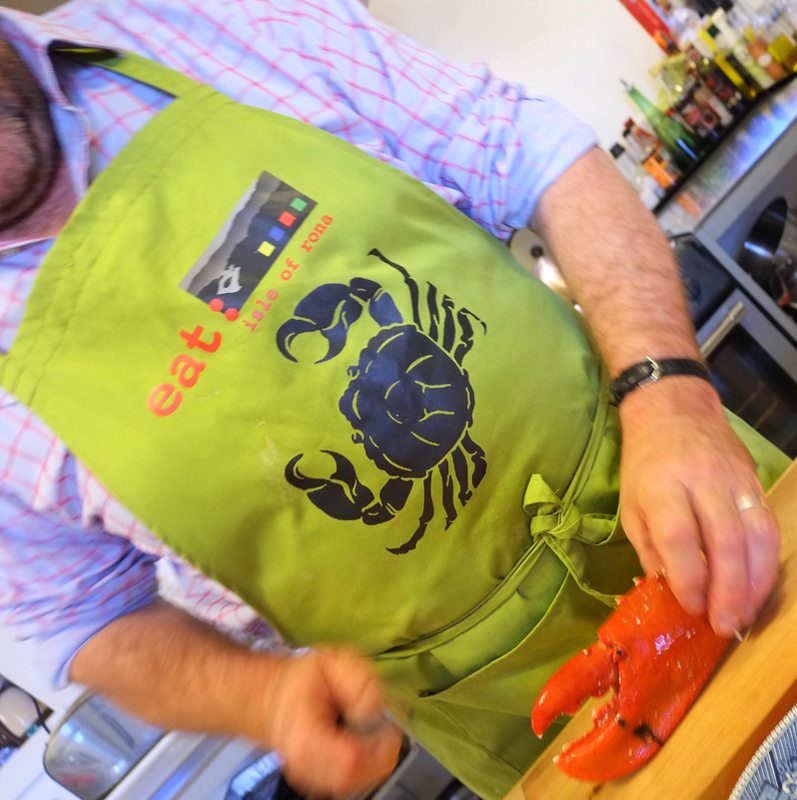 ), modelled and amply filled by Bill in the photo below,we think they make a colourful addition to the kitchen, a souvenir of your holiday on Rona or a great gift for the foodie, or simply messy eater, in your life. 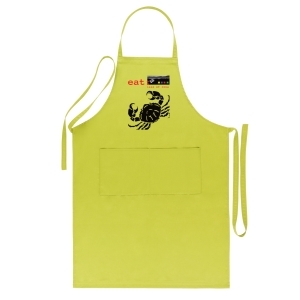 The one-size aprons come in a fetching bright olive green and feature the Isle of Rona logo and of course… a crab. To order, please complete & submit the form below and we’ll send you an invoice for the appropriate amount which can either be paid by Paypal or bank transfer. Please remember that we only have a weekly Saturday post boat to take our mail, so order in plenty of time if it’s a gift for a specific date!